Judy Blume spent her childhood in Elizabeth, New Jersey, making up stories inside her head. She has spent her adult years in many places doing the same thing, only now she writes her stories down on paper. 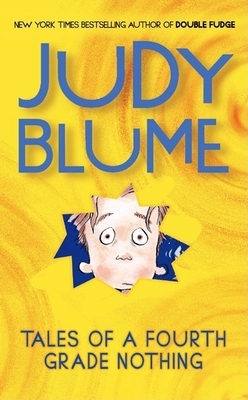 Adults as well as children will recognize such Blume titles as Are You There God? It's Me, Margaret; Blubber; Just as Long as We're Together; and the five book series about the irrepressible Fudge. She has also written four novels for adults, In the Unlikely Event, Summer Sisters, Smart Women, and Wifey, all of them New York Times bestsellers. More than 80 million copies of her books have been sold, and her work has been translated into thirty-one languages. She receives thousands of letters a year from readers of all ages who share their feelings and concerns with her. Judy received a BS in education from New York University in 1961, which named her a Distinguished Alumna in 1996, the same year the American Library Association honored her with the Margaret A. Edwards Award for Lifetime Achievement. In 2004 she received the National Book Foundation's Medal for Distinguished Contribution to American Letters. "Will bring a chorus of laughter from sympathetic readers." -- Publisher's Weekly. Winner of The Great Stone Face Award.